When there is a rising demand, one must provide accordingly, in order to stay in the market. Microlearning is on tip of the tongues of many online learners and eLearning professionals, thanks to its short and to-the-point design. In other words, it’s alligned with the times we live in. So, to get all this insight, in the form of tips, and answers to challenges, is a helping hand that most eLearning practitioners will appreciate. Added to these, you can read interesting approaches on creating a microlearning lesson, and future prospects, to connect you and your microlearning courses to the just-in-time learning movement. To move us away from cognitive overload in learning, and to align with trends in information processing, we have come into the era of microlearning. What are the Usual Methods and Technologies Associated with Microlearning? Because each microlearning product serves but one objective and is tightly focused on that objective, there are a somewhat limited range of ways microlearning can be delivered. Microlearning offers a range of attractive benefits that can overcome some traditional problems with learning design and technologies. When you determine to adopt a microlearning approach to a body of knowledge and behavioural change, there are, of course, risks that arise. To keep it short and sweet, instructional design effort must be highly focused on achieving the outcome without frills. Is microlearning a fad or here to stay? To address this question, we are forced to face various paradoxes that would both accelerate or apply the brakes to microlearning. Microlearning is part of a movement towards the delivery of just-in-time content and insight, something increasingly being enabled by the internet. Microlearning is a way of teaching and delivering content to learners in small, very specific bursts. Three minute videos could be microlearning. A one-question quiz with reinforcement for wrong answer – that could be microlearning. The Google search conducted to find out whatever happened to that beautiful girl who played Wesley Crusher’s love interest in an episode of Star Trek: The Next Generation could be (informal) microlearning. Microlearning is a bit amorphous in execution, but tends to cohere through philosophy and intent. When there is a rising demand, one must provide accordingly, in order to stay in the market. Microlearning is on tip of the tongues of many online learners and eLearning professionals, thanks to its short and to-the-point design. In other words, it’s aligned with the times we live in. So, to get all this insight, in the form of tips, and answers to challenges, here is a helping hand that most eLearning practitioners will appreciate. 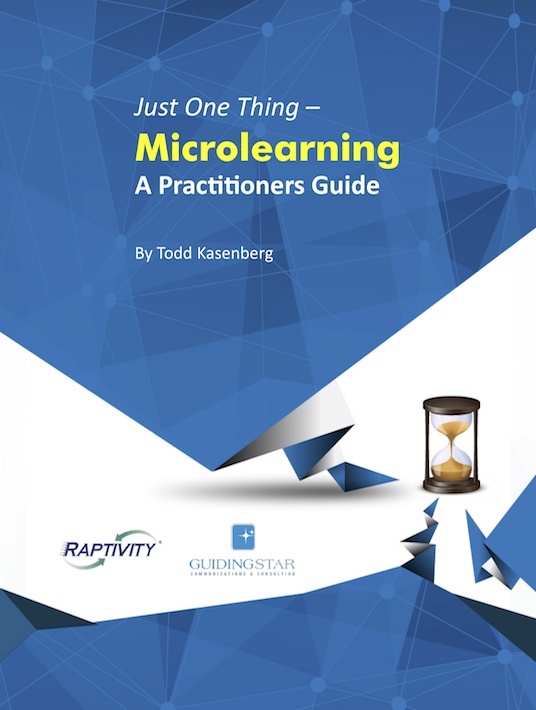 Added to these, you can read interesting approaches on creating a microlearning lesson, and future prospects, to connect you and your microlearning courses to the just-in-time learning movement.